A recent poll from Mayors against Illegal Guns found that 74 percent of NRA gun owners and 87 percent of non-NRA gun-owners support mandatory criminal background checks in order to purchase a firearm. However, even with this public support, there remain loopholes that allow 40% of gun purchases to occur without a background check, with no questions asked. To date, the National Instant Criminal Background Check System (NICS) has prevented nearly 1.8 million criminals and other prohibited purchasers from buying guns. The law also has a deterrent effect—prohibited purchasers are less likely to try to buy guns when they know comprehensive background check requirements are in place. 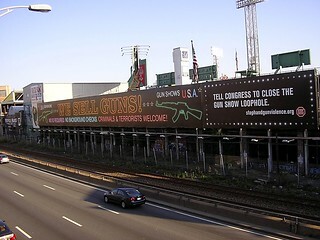 Read more about the Gun Show Loophole here.